How does Cannabidiol (CBD) Really Work in the Brain? 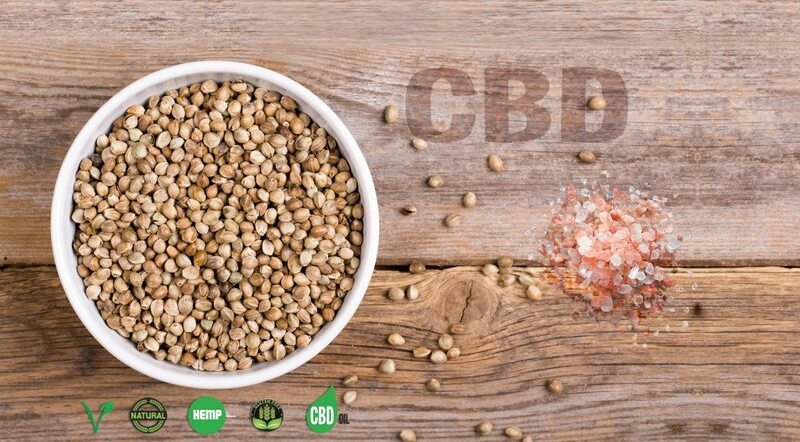 Home > CBD > How does Cannabidiol (CBD) Really Work in the Brain? There are a lot of questions about exactly how Cannabidiol (aka, CBD) works on the brain – we believe it has specific therapeutic effects on the body as well as tangible psychological effects, but we don’t necessarily know why…we understand what it is not, what it doesn’t do and how it is unlike THC, but more and more people want to understand exactly how and why it works as it does – and how does CBD positively affect the brain? There are things called Cannabinoid receptors located throughout the human body. In the very simplest terms, they play a specific role in physiological processes such as appetite, perception of pain, memory and your mood. 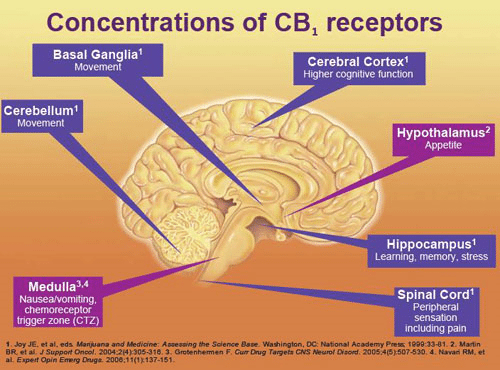 These Cannabinoid receptors are referred to as CB1 and CB2, and they are activated by Cannabidiol. The CB1 receptor is expressed in the brain (specifically, the central nervous system), but also in the lungs, liver and kidneys. The CB2 receptor is primarily expressed in the immune system and the cells in red bone marrow, the core of your bones, but they are more commonly thought of as stem cells – building blocks for all other cells in the human body (think transplants, cancer and immune system treatments). They can also be found in the pelvis, femur and sternum of adults and in the umbilical cord of newborns. Cannabinoids or CBD binds to specific cannabinoid receptors. It turns out that neuroscientists have identified links between specific serotonin receptors and the cannabinoid system. These receptors not only share a region in the brain, they activate another receptor which causes the release of something called endocannabinoids – these are naturally produced (just like serotonin) in the human body. The larger endocannabinoid system that is present in all humans and appears to be configured to accept cannabinoids – CBD specifically. While the serotonin receptors are primarily responsible for causing psychoactive effects (ie, THC), pain relief and other therapeutic benefits appear to correlate directly in the cannabinoid receptor (CBD). In other words, our bodies produce the endocannabinoids in much the same way our body produces narcotic-like endorphins. Evidence suggests that the medical community has discovered something amazing! The human body has receptor sites ‘cued up’ to happily receive cannabinoids, and that the body naturally produces them internally. All Rights Reserved Cannabinoid Creations | Michigan Web Development and SEO by CI Web Design Inc.
Love Our Brand? Get 5% Off!